No sooner had I clicked “publish” on last night’s feel-good entry than I heard the dryer buzzer. I felt the laundry inside and decided it needed a few more minutes. I cleaned the lint from the trap, then set it aside while I pulled some additional lint from the tray that holds the lint trap. I then started the dryer and walked away, only to hear a muffled grinding sound and then a dead hum as the motor in the dryer tried to run but was stopped. 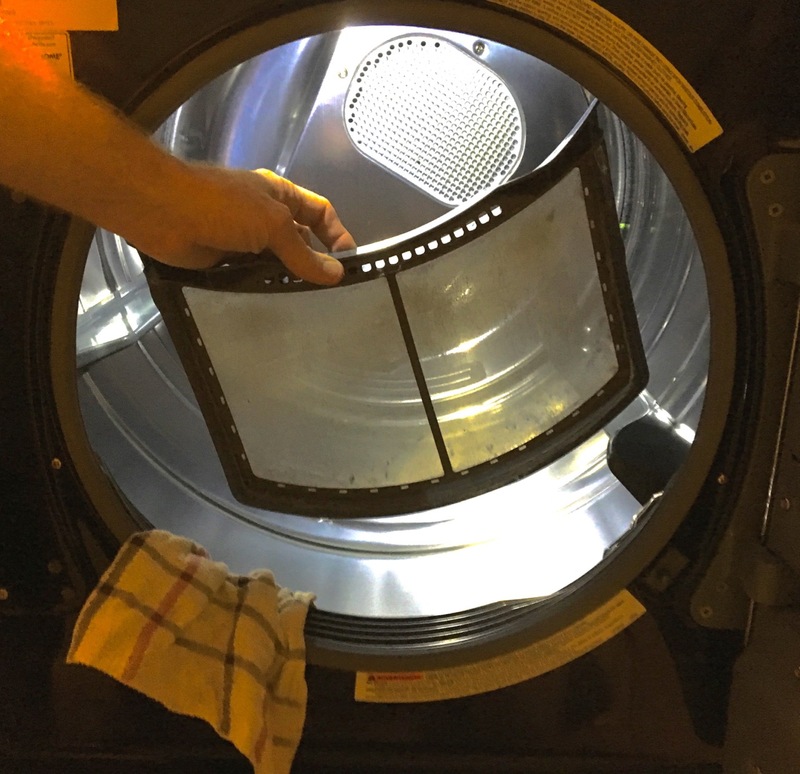 No good deed, as we know, goes unpunished, and in my efforts to remove the additional lint, I forgot to replace the trap, and the machine immediately ingested a wash rag, which stopped the mechanism instantly. As you can see in this illustration I created after the fact, it’s pretty easy to jam our dryer. Our machines are front-loading Kenmore Elite washer and dryer units. The washer doesn’t get the clothes as clean as I’d like, but the dryer, when I’m not choking it, gets laundry super-dry, super-fast.